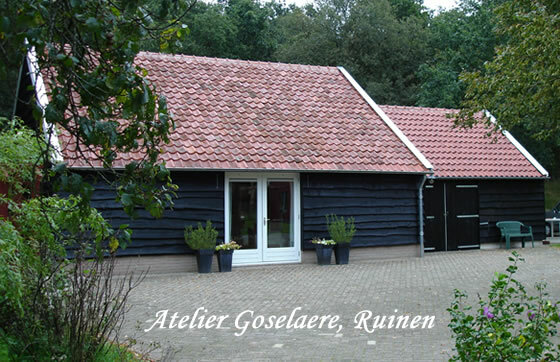 Lives and works in Ruinen (Drenthe). From a young age Adriana started painting. For a long time this was just a hobby. Only at a later age she studied at the academy of arts Minerva in Groningen and graduated as a BA in Fine Arts in the summer of 2009. After studying at the academy she followed a 2 year classical atelier curriculum at Noorderatelier in Groningen. (2012-2014) Followed workshops with different artists to get acquainted with different techniques and approaches. In 2016 and 2017 she was a participant at the Swedish Academy of Realist Art (SARA) in Sweden where she followed lessons in ‘Plein- Air’ painting and portraiture. In 2014 she was the winner of a contest in portraying local people, well none in the province of Drenthe. There were several exhibitions and the outcome of a book called ‘In tegenlicht spiegelen ogen niet’. In the following years she developed from a photorealistic style to a more impressionistic approach. Painting outdoors has to be done rapidly to put down the moment. This way of painting has also influenced her other work. She still prefers to work with oil pant, but also loves to make work with pastels and charcoal. Adriana does not want to capture herself with just one theme. Things that affect here, calls out to here, become subject to a painting. Mostly it is a realistic approach of people and nature. Nature abroad and in the Netherlands are being captured. 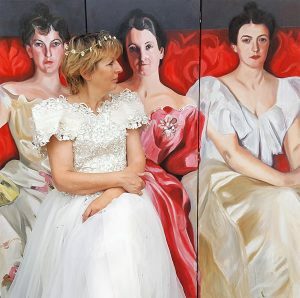 Adriana also creates art that tells a story which may be completed in the viewer’s own way. Events and particularly decisive moments in private situations make the transition to the painting.. The painting that she makes are the result of a sharp observation and show the vulnerability of existence. Adriana’s painting are being sold in the Netherlands and abroad.